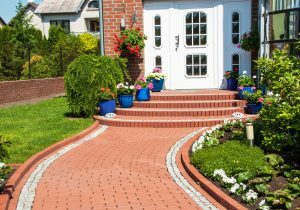 If you are a homeowner in Round Rock TX, you know the importance of keeping your property safe and secure. When that safety is compromised in any way, or when you cannot even gain access to your own home, you need a local residential locksmith that you can trust. We are Round Rock Locksmith Pros. We aim to be the top locksmith company in your area will work hard to earn your trust. As a provider of residential locksmith services in Round Rock Texas, you can count on us to enhance your home security as we provide you with new locks or key changes as you need. We offer a range of services that will help you day or night. In essence, if it has a lock, we can service it as needed. We offer a range of lock and key solutions for your home in Round Rock Texas that will greatly enhance the safety and integrity of your property. Each of our technicians is licensed, bonded and insured. We offer emergency locksmith services because we know that you cannot control when you get locked out of your home and need access. As a 24-hour locksmith, we pledge to provide you with response times of 30 minutes or less. You can also count on us for competitive and upfront prices and our mobile units have all the tools and equipment needed to handle any type of job you need. Perhaps you have just bought a new home and want to ensure that you are the only one with a key to your new property. You might have just suffered through a burglary and wish to change the locks to add a sense of security. Whatever the reason might be, we will be there to do a prompt and reliable lock change job for you. If you don’t need all new locks, we can come in and provide lock rekeys on each of them to provide you with the security that you need. With mail theft becoming a more common problem, it might be time to get a secure lock on your mailbox. Call our mobile locksmith out and we will get it done for you right. Add some extra security to your front and back doors with a professionally installed peephole that allows you to see out, but nobody else to see in. Our home lockout services go beyond your front door. Call us for bedroom lockouts and bathroom lockout situations as well. It doesn’t matter how you got locked out, we will get you back in quickly and without causing any damage to your property. Keys can become old and brittle. When that happens, they can get stuck or break off in the lock when you least expect it. We will extract that broken key, make you a new one, and get you back to full access. If you have been robbed, chances are good that your locks have been damaged. We will repair that for you as quickly as possible and give you a sense of security once again. Our full range of lock services means that we can install or repair just about any type of lock and key system on the market. We can install stylish new mortise locks to give your front door some extra curb appeal and we can even add a new state-of-the-art keyless entry lock system to your property so you no longer have to worry about keeping track of your house keys. We will quickly fix any of your existing lock systems in need of repairs. And if you are interested in a home security update, let us know and one of our friendly experts can come by and provide you with honest and dependable suggestions on the best way to protect your home. We take into account your personal security needs as well as your budget. Contact us 24/7 to request our residential locksmith services. 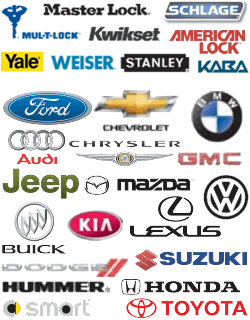 We will provide you with prompt service, upfront pricing, and full installation and repair services as needed. You can count on Round Rock Locksmith Pros to provide fast and friendly assistance, all with local technicians who have years of experience. Residential https://round-rock-locksmith.com/residential/ 3.5/5 based upon 6 reviews.